In September, Family Design Resources training specialist Deborah Wilson Gadsden marked 42 years of working in child welfare. That experience informs the passion she brings to bullying prevention, in schools and in the workplace. 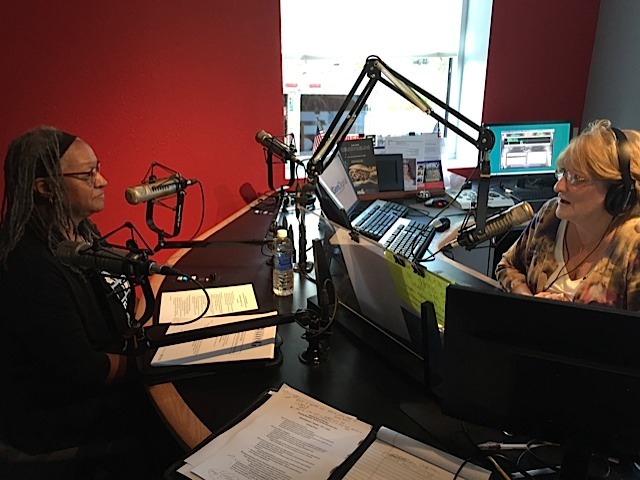 "A lot of times, the children that I've worked with over these many years are the ones that become targets of bullying behavior in school because of their living circumstances and things that they have no control over," she told host Sylvia Maus on the public affairs program "Insight," which airs weekly on eight iHeartRadio stations in the midstate. "They have no control over being removed from their families, and having to live with substitute caregivers. They have no control over ending up being in an adoptive situation. ... They don't deserve to be targeted as a result of their living circumstances." Contrary to the notion that school bullies suffer from low self-esteem, Gadsden said studies show they typically feel pretty good about themselves. They engage in bullying because other children think it's cool or to gain power over someone else. Bullies can be from affluent or disadvantaged families; they may have learned their behavior because that's just how members of their family interact. "There's not just one profile that you can establish for a person who engages in bullying behavior," Gadsden said. The solution is to create an environment in which everyone knows that bullying is not tolerated and that there are consequences for engaging in that type of behavior, she said. It's the responsibility of the adults in schools to keep children safe. That means administrators and teachers, but also lunch aides, playground monitors, bus drivers. "Everyone plays a role as an adult in keeping the children in the building safe," she said. "The other thing that you can easily think about is those children who bully in the schools grow up, and if no one has ever challenged their behavior or helped them to understand that it's not civil behavior, then they're going to exhibit those same things in the workplace," she said. Like school targets, those in the workplace typically have done nothing wrong. They are good workers and good people, and they are team players. "All of the things that you want in an employee," Gadsden said. "However, the person who decides that they're going to engage in that bullying behavior against them may be jealous of (the target's) accomplishments, their abilities. They maybe feel threatened by their ability to do those things. "It's hard to tell individuals that they haven't done anything wrong, that they're doing all of the right things, and it can still happen to them." Sometimes it can take a year or two for a workplace target to realize what is happening. Symptoms might include a dread of going to work; a feeling that a co-worker is sabotaging your work; health-related problems such as high blood pressure or headaches; a disruption in one's social life as colleagues back away for fear that what is happening to the target could happen to them. "I believe it takes a year or two for you to figure it out because you just can't imagine that someone would intentionally be engaging in those behaviors with you," Gadsden said. To hear the complete interview click here.